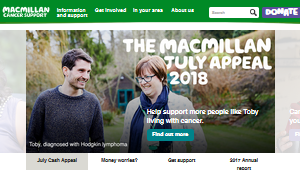 Once you have a clear idea of what your child's cancer treatment will involve, it is a good idea to chat with your child's school about what schoolwork may be appropriate. As cancer treatments can vary greatly, you will need to weigh up how much your child can cope with during treatment. Talk with your child's healthcare team to get an idea of what will be appropriate for your child. If your child can't go to school for a long period, then teachers from regional health schools can teach them. Regional health schools provide teachers for children who are unwell. They can teach children who are enrolled in their local school from years 0 to 13. There are 3 health schools that cover New Zealand: Northern Health School, Central Regional Health School, and Southern Health School. How do I enrol my child in a regional health school? After your child receives a cancer diagnosis, the hospital will refer you to a teacher from the nearest regional health school. The teacher will talk with you and your child, with the teachers at their regular school and with the healthcare team to develop an Individual Education Plan (IEP). If your child hasn't started school yet, then they will receive an Individual Plan (IP). See the Ministry of Education website for more information on IEPs and IPs. If your child is receiving assistance from a regional health school, either as an inpatient at one of the treatment centres or while recovering at home, they will remain on their regular school's roll. Depending on the treatment plan they may be able to attend the regular school part-time or full-time throughout treatment. Some children may need 1 or 2 days a week away from school during treatment while some may attend school daily for part of the day only. Others may be absent for some months. "What we found really good was that the classrooms would write letters and send cards. It was really nice to keep connected". Roanne, Quinn's mum. Your child's teachers and classmates will want to know what they can do to help. Children love hearing from their friends and classmates while they are having treatment. Sending cards, pictures or drawings that your child can put up on the hospital room wall are a great idea. Encourage friends and classmates to use texting or other messaging platforms such as FaceTime, WhatsApp, Snapchat or Facebook to send messages of support and to keep your child up-to-date with what is happening. Talk with your child's healthcare team about whether its OK for your child's friends to visit them in hospital. "While he is away he would read a book every day. When he came back he'd read all the books his classmates. It meant he didn't feel like he was missing out on anything". Christina, Noah's mum. By doing homework and by getting extra help or tutoring in the hospital or at home, your child will feel better prepared to return to the classroom when they leave hospital. Regular communication with the school will help your child's transition back to school after they have finished their treatment. Your child may be able to take part in online modules or email their teacher with homework to be marked. It may even be possible for your child to use Skype or other video conferencing technology to 'sit in' on some of their classes at their school. Talk with your child's healthcare team and school about whether this will be appropriate. You can also help provide variety by bringing in books or friends or from your local library. You can also source educational videos online for your child to watch. The Northern Health School provides education for Years 1 to 13 students who are not well enough to attend their regular school. Check the map to see the areas the Northern Health School covers. Central Regional Health School is based in Wellington and serves the areas in the lower half of the North Island. These are the areas covered by the following District Health Boards: Capital and Coast, Hutt Valley, Wairarapa, MidCentral, Whanganui and Hawke's Bay. 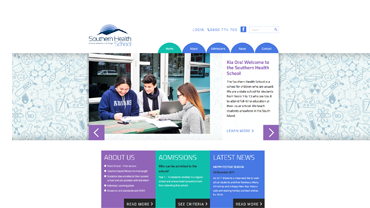 The Southern Health School provides education for Years 1 to 13 students who are not well enough to attend their regular school in the South Island.